The company, currently in bankruptcy, also requested an exemption from the grid operator's must-offer rules for the four plants, as well as three other nuclear facilities it intends to close down. FES said it is seeking exemptions from capacity auctions covering the 2022-23 delivery year and beyond. As the merchant generation arm of FirstEnergy, FES has announced the closure of more than half a dozen plants capable of supplying 8 GW, which are not able to compete against a newer class of gas-fired plants and renewable resources. FirstEnergy's proposed closures now include three nuclear plants totaling more than 4 GW, three coal plants also totaling more than 4 GW, and a lone oil-fired facility capable of generating 13 MW. 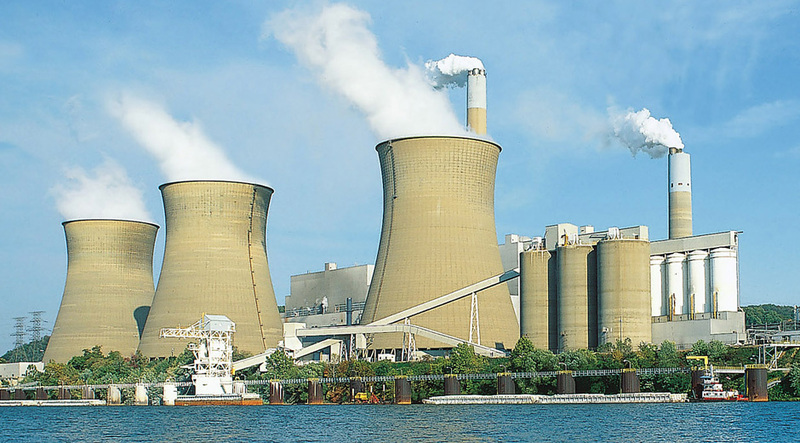 The company said Wednesday it will shut the coal and oil plants "due to a market environment that fails to adequately compensate generators for the resiliency and fuel-security attributes that the plants provide." Most of the new capacity tagged for deactivation is located at two coal plants: Units 1-3 at the Bruce Mansfield plant in Pennsylvania (2.49 GW), and Units 5-7 at the W.H. Sammis plant in Ohio (1.49 GW). The 24 MW Eastlake 6 coal unit in Ohio and a 13 MW diesel oil generator at Sammis will also be retired. The company has said it does not want to shutter the units, but cannot continue to operate them at a loss. The closures are subject to review by the regional grid operator, and FES noted that PJM could determine that one or more of the units may be needed for grid reliability. In that case, the company said it would provide information and estimates of the costs and timing to keep some or all of the units open. "Our decision to retire the fossil-fueled plants was every bit as difficult as the one we made five months ago to deactivate our nuclear assets," FES Generation President and Chief Nuclear Officer Don Moul said in a statement. Earlier this month FES announced it had submitted its Certified Fuel Handler Training and Retraining Program to federal regulators, a step toward closing down the three financially-struggling nuclear power plants. "As with nuclear, our fossil-fueled plants face the insurmountable challenge of a market that does not sufficiently value their contribution to the security and flexibility of our power system," Moul said. "The market fails to recognize, for example, the on-site fuel storage capability of coal, which increases the resilience of the grid." In March, FES asked the Department of Energy for an emergency order to keep its plants open, and the agency is working on a bailout plan for at-risk generators following a presidential directive in June. It remains unclear, however, if the federal government will move in time to save FirstEnergy's facilities. The company gave those efforts a nod in its statement, saying that "depending on the timing of any federal policy action, deactivation decisions could be reversed or postponed." Critics appeared to seize on that comment. Mary Anne Hitt, senior director of Sierra Club’s Beyond Coal campaign, said in a statement that the company "ran to the edge of a cliff in the hopes of receiving a coal bailout from their customers or Donald Trump." ​Dan Sawmiller, Ohio energy policy director for the Natural Resources Defense Council, in an emailed statement noted that the shutdowns would mark the end of FirstEnergy’s coal portfolio in the state. He said it is "vitally important" that states engage the communities to help address the impact of lost jobs. The shutdowns are "yet another sign that states need to recognize this shift, and embrace the clean energy economy that can add to the growing number of clean energy jobs throughout the region," Sawmiller said.